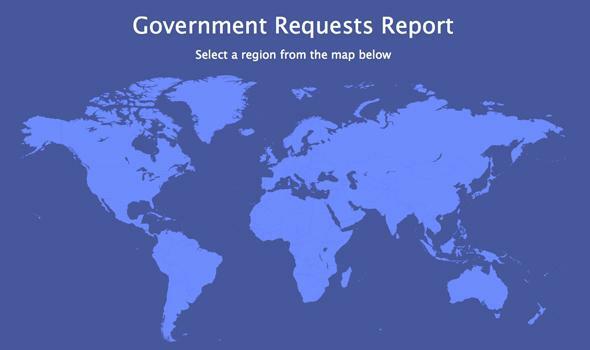 Facebook's new transparency report shows government requests on the rise. Facebook breaks down requests by country. Since August 2013, when Facebook started publishing transparency reports quantifying the government data requests it receives from around the world, the number has risen about 24 percent to 34,946 in the first half of 2014. With 1.35 billion users, it’s no surprise that Facebook is fielding more requests than ever, according to its new report. Like all tech companies, Facebook can only report U.S. National Security Letter requests in broad ranges because of legal parameters (which are currently being disputed), but the company can provide more detailed breakdowns for general U.S. law enforcement requests and those from many other governments. For context, Google had a pretty comparable number of worldwide requests, at 32,000 for the first half of 2014. On a week when the new director of the British Government Communications Headquarters intelligence agency told the Financial Times that “privacy has never been an absolute right” and specifically called out Facebook, Twitter, and WhatsApp for being used by ISIS members, it’s nice to see someone try to lay out even a tiny piece of what’s going on with government data requests.